I borrowed two books from the library on calligraphy. I was actually surprised that our local libraries actually have books on calligraphy. 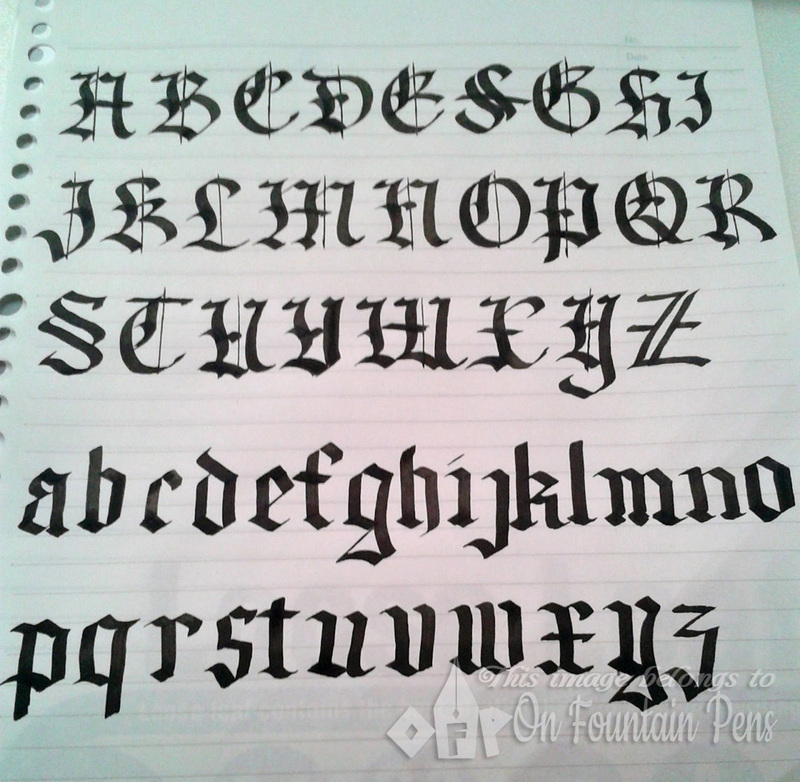 And by saying “on calligraphy” I mean they really teach us how to write calligraphy! The first book borrowed is called “An Introduction to Calligraphy” and I borrowed it from the National Library. I haven’t read every single word of this book but merely browsed through, and I found great details about calligraphy, from various writing materials to the writing board to the style of writing. At this beginning stage I wasn’t into details yet, and I was a little overwhelmed at the chapter which talks about spacing between letters, words and lines. This, I would say, is a very useful book, but I haven’t learnt yet how to write or even hold a calligraphy pen, so I didn’t read this chapter thoroughly. The chapters on writing method are useful, they break down each stroke of the letters and show you how to make the strokes, angle and all. Pretty useful indeed! 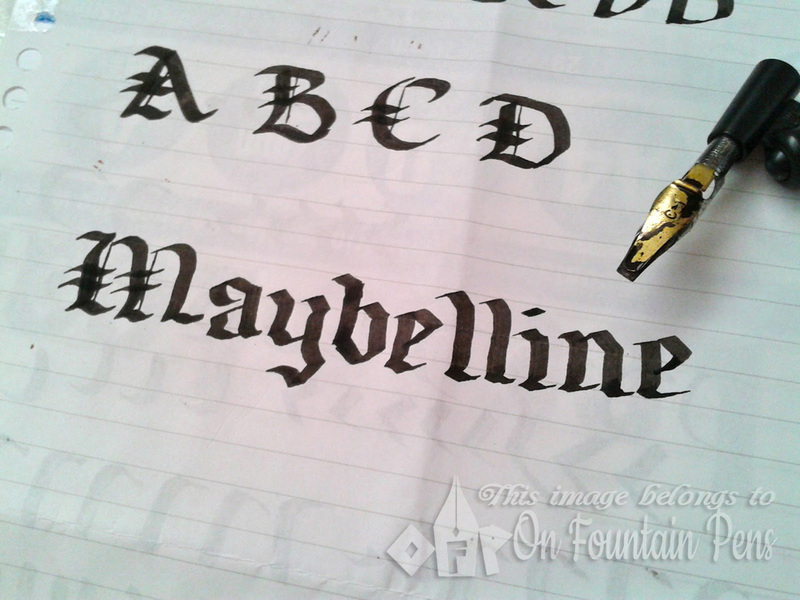 My first try at Gothic script with my name… it always looks nicer on a photo. Uncial. I like this script! Not too difficult to write too. And finally, Gothic. I love this too but it’s a real pain to write! Literally! My hand hurts writing this!